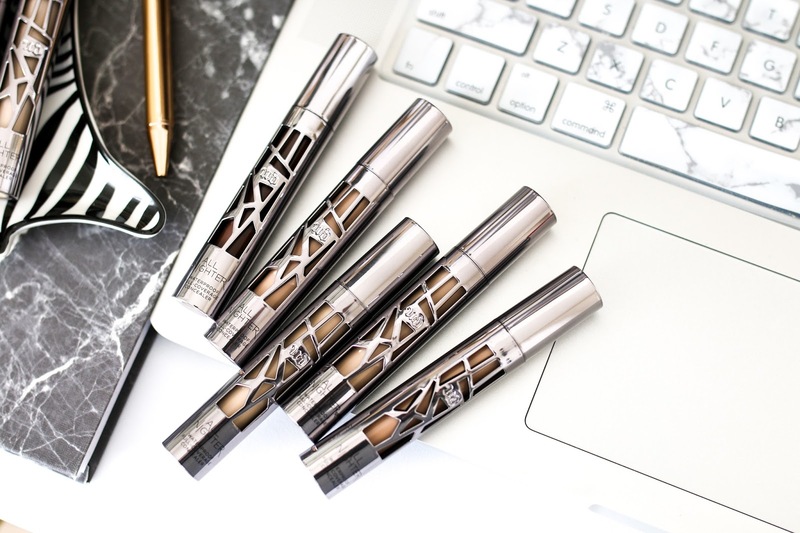 Urban Decay is launching a new full coverage concealer as part of their All Nighter makeup range. There is already a foundation and makeup setting spray that are formulated to be long wearing and stay on the face all day and night. I have not yet tried anything from the All Nighter line though to be honest, it's not something that would necessarily appeal to me. I find that most of the makeup I use stays on my face for the whole day, and often long wearing formulas can be too heavy or thick for my taste. 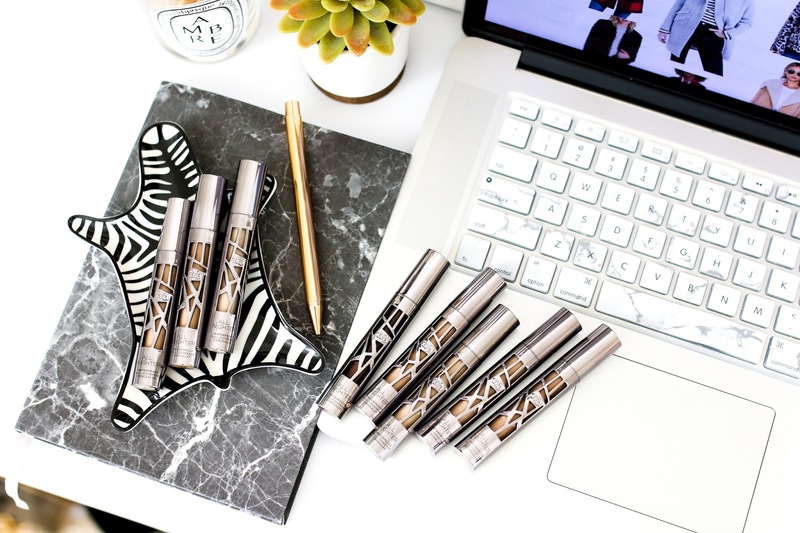 Urban Decay sent over their new concealer from this line for me to test and I went into it with an open mind hoping that it would change my mind about long wearing makeup formulas. There is a pretty decent shade range to choose from with both warm and neutral undertones. I can wear either Fair Warm or Fair Neutral for under my eyes and both are light enough to brighten any darkness. I don't tend to use concealer on my face because I find that most of my foundations do a good enough job of covering any problem areas. From an initial swatch, the formula did feel a bit dry but gave fantastic coverage. 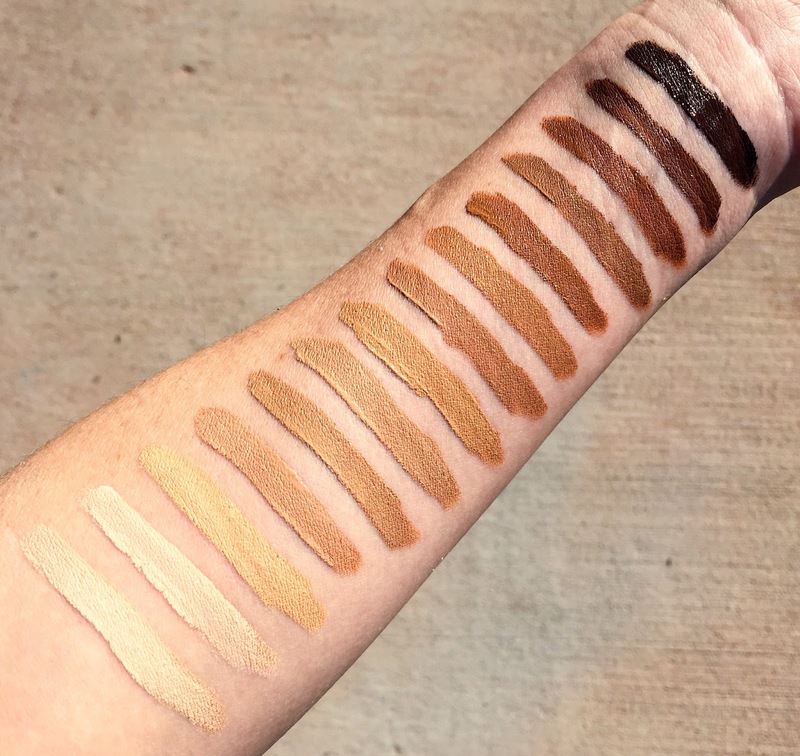 In fact, after I swatched all of the colors on my arm, it took me quite a while to remove them completely so this concealer definitely does have some serious staying power. However, as soon as I applied it under my eyes, it immediately began to emphasize any dryness. I tried first to mix it with some eye cream and then used a damp beautyblender but after it would dry down, my under eye area didn't look smooth and any fine lines were accentuated. Bummer. Sadly this concealer was not a win for me and I think my skin and more importantly my under eye area is just too dry for this formulation. It may work for someone with more oily skin or a well hydrated eye area. But as far as coverage is concerned, this can conceal almost anything and does stay put for hours.